Mantra: "Where there's a mess there's no progress. Get to it!" Who are your top 3 favourite people to follow on PumpUp? What do you admire most about them? @balancingforlife – I admire her because she is a mom of three kids. She looks amazing and has such a positive energy! @asja – I love food and she speaks my language when it comes to food. I love getting some new cooking combinations when I come check out her page. @anneprins – I discovered Anne while watching the PumpUp Snapchat and absolutely love her energy, her tips she shares, she has great energy! What advice would you share with someone who’s looking to keep motivated? My biggest advice to stay motivated is to start following people that you can relate to on your fitness journey. Think of things your interested in or have questions about and search for them. Once I have started following them, I find their Snapchat too! Its the best way to gain free insight/advice from your favorite people and if you have questions most if not all will engage with their followers and tell you how you can send in your questions and get your answer. If you don't have Snapchat, follow their storylines on Facebook and Instagram. A lot of times they will repost their subject matter consistently on all their platforms. If you have a day where you don't want to do much, your motivation is low, switch on your Snapchat and watch their stories. Let them inspire you so you are ready to try something new on your next attempt. What’s a new, healthy habit you’re working on? I am currently working on refining the balance in my day. I have started a morning ritual where I wake up on an empty stomach and enjoy a cup of oolong tea before my 10 minutes of quiet meditation. Starting your day of right is super important in how it will lead into the rest of your day. And it is has proven over time to help bring focus and clarity to my day! What's your favourite way to keep active? My favorite way to keep active is through music! Music motivates me to put together playlists that I can't wait to work out to on my next gym session. So its a little bit of a reverse psychology on myself to keep active. Especially when I do fasted cardio sessions in the morning and and I don't want to get out of bed! What is a fitness or health goal that you're most proud of? My most proud fitness goal thus far was when I was able to over come some of my health issues that were plaguing me for 4 years. I hired a nutritionist and got to work. In less than six months from making that decision and incorporating 1 hour of exercise daily, I had wiped away 90% of my health issues. Now I lead a happier and healthier quality of life! What's your favourite thing about PumpUp? How has PumpUp helped you reach your fitness goals? Gosh I have a couple favorite things I love about PumpUp! I would say my latest obsession is following Pumpup on Snapchat. It has brought the app to life. Makes it more fun. I also love the fitness part of the app. I am a professional swimmer and coach so all my fitness know-how was in the water. So when I moved and I didn't have access to a pool, I found myself at a little bit of a road block doing "dry land" training. So to have an app that helps you build your workout step by step, then shows you video demos of each exercise, it times you just right so you know when to switch to the next exercise, your music plays over the video so you can keep motivated and yes still listen for instruction, its such a great feature to have on the app! After a great workout I post it on the app too! Usually I go to work not too long after my workout so because of the quick transition between gym and then work I usually do a Super Meal Replacement Fruit Smoothie. I have been infusing my fruit smoothies with MCT oil, super food powder, and collagen! I feel the most confident when I am able to post a before and after picture. It's a realization of how far I have come along in my journey. My "before" picture reminds me of where my confidence level used to be and my after picture reflects a NEW confidence and love for myself. I appreciate myself more now than I ever did before. I can now identify better with myself when I look in the mirror and some of my insecurities that I once had are now gone. To post pictures and it inspires some one else to keep going is truly humbling. 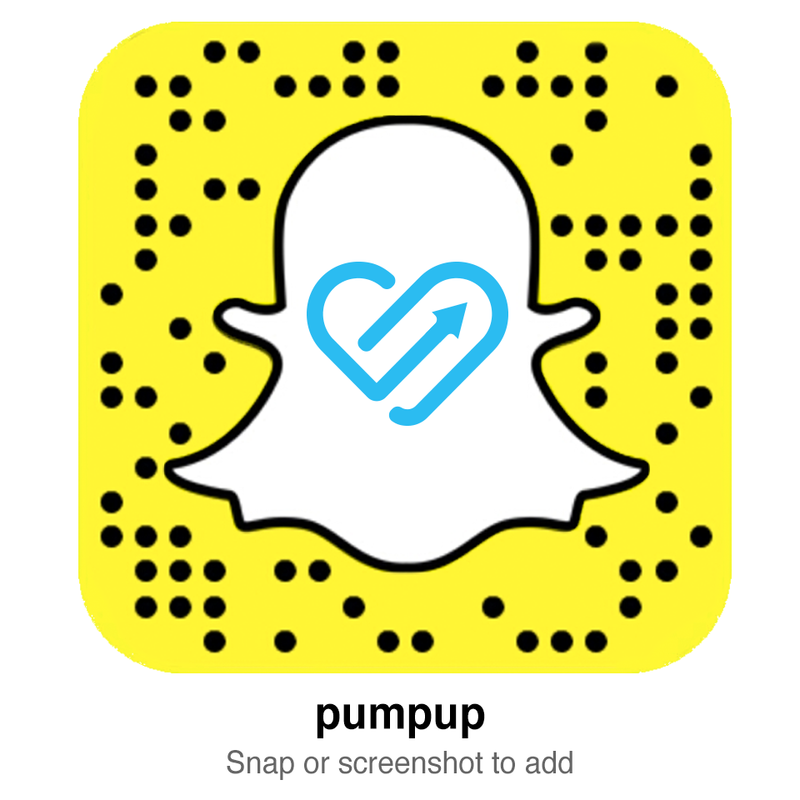 What advice would you give to someone new to the PumpUp community? Plug into the Snapchat, Instagram, etc. of Pumpup, stay connected and watch each other grow! Follow 5 people on different paths in their fitness journey and one that is similar to your path! Pump up is a community, a family. We support one another, we Pump each other up. Engage and have fun!! !